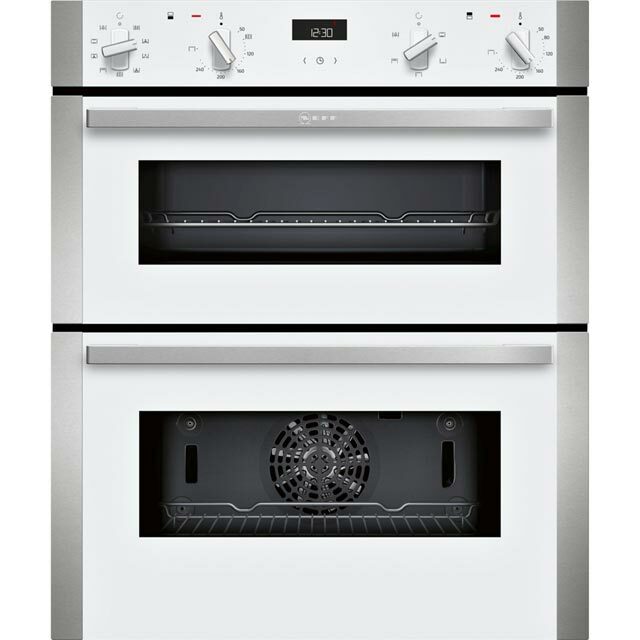 This electric double oven from Neff will have you dusting off your apron, and preparing your oven mitts. The main multifunctional oven gives you a range of cooking options to choose from, so you can master every meal. 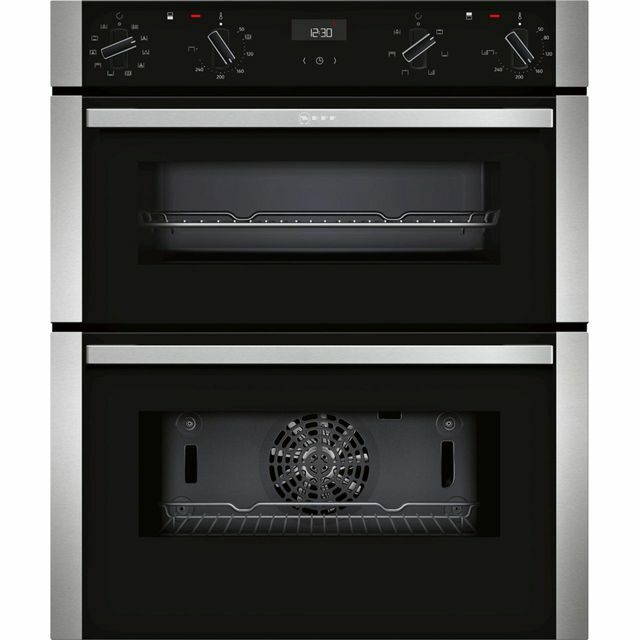 It also has a second conventional oven with a handy grill setting, which will give your dishes a perfect golden finish. It’s easy to check on your masterpiece as well, as the telescopic shelf runners glide in and out effortlessly. Keeping the interior clean is simple too, as the catalytic liners absorb greasy splatters and oxidise them when the oven is in use. This model is designed to fit at eye level. Got this oven delivered and paid for unwrapping the guys placed it in the unit for me an electrician wired it up for me that day. 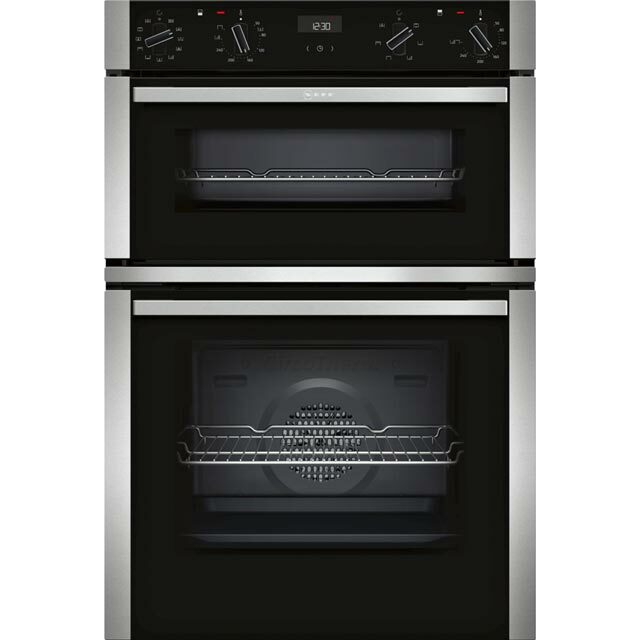 The oven heats up in no time I baked a lost of bread it was amazing the knobs are very good you need to press the knob to use them there are two knobs per oven compartment which is new to me but easy once you get use to it. In the main oven the bottom rail extends out on a runner, you are able to buy all three as runners as an option but this is expensive. 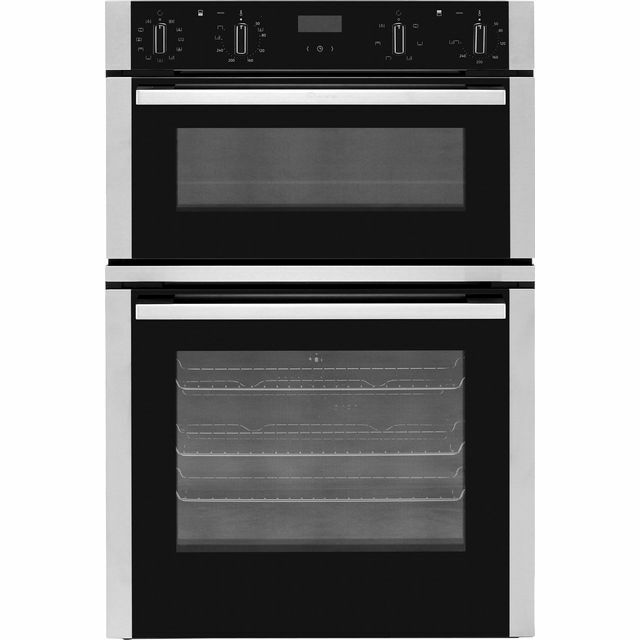 if you’re thinking of a new oven thin of this one to consider for energy efficiency practically and looks. I really like this oven once I got use to it. I looked a various configurations of ovens for my new kitchen, and finally decided on this double oven. I am very happy that I did. It looks beautiful, and is very well built. There are a number of different oven functions = it will even prove bread, and I am sure I am going to enjoy experimenting. My kitchen fitter was also very impressed with this oven. I was worried that there were too many functions to get used to, but this oven is much simpler to use than I thought. I realise that I should have replaced my old oven ages ago as this one is cooking food so much better and efficiently. Looks good, ultra quiet, brilliant delivery. Delivered in to the kitchen and quickly installed. * U1ACE5HN0B_BK was at the higher price between 20/03/2019 and 10/04/2019.